Haven’t started your Christmas shopping yet? 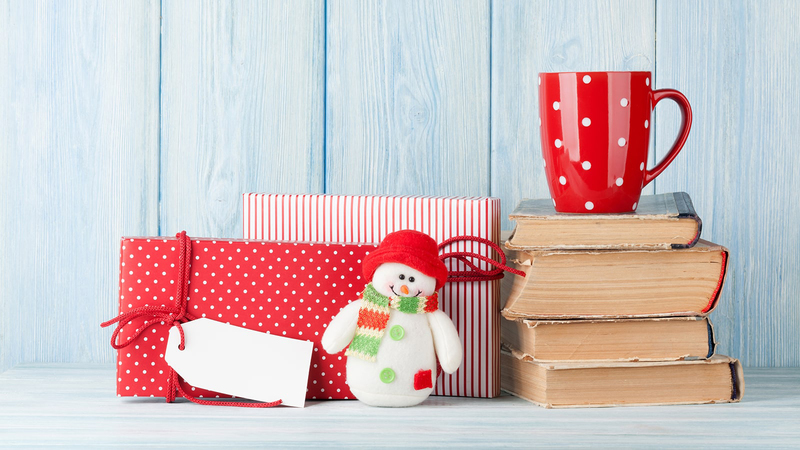 Don’t panic, we have the perfect gift for every book lover on your list. The most wonderful time of year is fast approaching, but it can also turn into the most stressful time of the year if you haven’t got your Christmas shopping organised. Luckily, we’ve put together a list of the perfect books to gift to the book lovers in your life. The book that Stephen Fry called ‘painfully funny’, This is Going to Hurt will make you laugh, cry and want to scream in equal measure. Written secretly after endless days, sleepless nights and weekend shifts, this diary of a junior doctor on the frontline of the NHS - is hilarious, horrifying and heartbreaking by turn. Is this burning an eternal flame? How soon is now? Is there life on Mars? Should I Stay Or Should I Go? is here to answer some of the most vital questions ever asked in world of music. For history lovers and Christmas lovers alike, Christmas: A History is a wonderful exploration of the myths, legends and traditions of the festive season. Why is turkey the dinner of choice? Exactly who was, or is, Santa Claus? Acclaimed social historian and author Judith Flanders answers these questions and many more as she gives us an insight into Christmas, from the origins of the holiday in the Roman Empire, to the popularity of decorated trees in Europe. Part mystery, part love story, The Winter Soldier is is a tale of romance and medicine set amid the horrors of the First World War. Twenty-two-year-old medical student Lucius enlists, expecting to be assigned to a well-organised field hospital. But when he arrives at his post in the remote Carpathian Mountains he finds that the other doctors have fled, leaving only the mysterious nurse Sister Margarete. As vegetarian and vegan lifestyles continue to grow in popularity, Joe Wicks is back with Veggie Lean in 15 which features 100 healthy veggie or vegan recipes, as well as three exclusive Body Coach workouts. Perfect for the health-conscious, those looking to make a healthy change in the New Year, or vegetarians or vegans looking for quick and tasty recipes. In this blistering first-hand account of the human cost of the criminal justice system, The Secret Barrister shows us how the system really works - or doesn’t. These stories of life inside the courtroom draw attention to a broken system, and those struggling within it - from criminals to victims, witnesses to lawyers. This adorable and beautifully illustrated gift book is the perfect gift for animal lovers. From the perils of being a baby seahorse to the sibling relationships of cheetahs, Brooke Barker explores the complicated and quirky world of baby animals. A Christmas tale of love and heartbreak, this is the perfect gift for hopeless romantics who want to snuggle up with a good book over the holidays. Bo and Zac are influencers living a life others can only dream of, sharing their travels around the world with millions of fans. But a seemingly perfect Christmas stay on a farm in the Norwegian fjords reveals that something is wrong at the very heart of their lives. A stunningly romantic collection penned by famous lovers through the ages, Love Letters of Great Men and Women brings together some of the most romantic correspondence in history. The perfect gift for a special someone. Prue Leith’s first cookery book in twenty-five years, cooking enthusiasts and Bake-Off fans alike will be thrilled with this gift. Discover one hundred of Prue’s favourite recipes, from quick suppers to dinner party showstoppers, interwoven with stories from her life. Carol Ann Duffy’s final collection as Poet Laureate, Sincerity is a must-have addition to any poetry aficionado's bookshelf. A collection which is both deeply personal and fiercely political, it is a moving reflection on the passage of time, from past loves to lost youth. Perfect for sports fans and those who love ‘the beautiful game’. In My Life in Football, Kevin Keegan, one of the greatest players in the history of English football reflects on his remarkable career, from captaining England to his legendary five-year spell as manager at Newcastle United. This gorgeous, stylishly designed craft book featuring over twenty-six beautiful projects inspired by the world of Tove Jansson’s Moomins is perfect for any crafters, or Moomins fans, in your life. Packed with activities from sewing and knitting to jewellery-making and paper craft, there’s something here for everyone, from young children to experienced crafters. The first book in The Witchlands series, Truthwitch is a magical coming-of-age story set in a continent on the brink of war. After clashing with a powerful Guildmaster, young witches Safiya and Iseult are forced to go on the run while protecting Safiya’s secret at all costs - she is a rare Truthwitch, able to discern truth from lies, and there are those who would kill for her magic. The first novel in David Baldacci’s new series, Long Road to Mercy is a book that is sure to keep crime fans gripped over the festive period. Thirty years ago, FBI special agent Atlee Pine’s twin sister was taken from the room they shared. As an adult she has never stopped searching for her sister, and has spent her life hunting down those who hurt others. Assigned to a case in the Grand Canyon, Atlee will have to confront a new monster, and old demons. A spellbinding tale of a thousand magical worlds, this is the perfect wintery read for older children. When Clem discovers a mysterious house full of snow globes with magicians trapped inside, she finds a gateway to myriad worlds. But her eagerness to free the magicians unleashes a power struggle that could put the future of magic itself in danger. This beautifully illustrated exploration of the animal world is a gift that will be treasured for years to come. Julia Donaldson’s rhyming words, paired with visionary illustrator Sharon King-Chai’s eye-catching artwork, take the reader through an interactive guessing game. Can you guess who has more legs than a butterfly or who is wrinklier than a hedgehog? A treasure trove of children’s classics, this stunning gift set is the perfect present for a nostalgic look back at childhood memories, and the ideal way to share those memories with the children in your life at this special time of year. Struggling for gift ideas for a certain person on your list? This beautifully designed collection of Christmas stories is bound to appeal to any book lover. From Charles Dickens to Arthur Conan Doyle, there’s a Christmas story here for every reader. The perfect stocking filler.